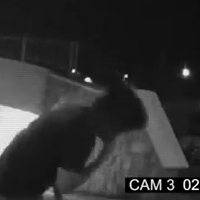 Footage from three waterfront security cameras have captured an unidentified man being devoured by shadflies. The film was supplied by an anonymous source late Thursday evening. The date of the film is unknown. There have been no Missing Persons reports for the area. The North Bay Bay will update this story as news develops. My partner and I absolutely love your blog and find nearly all of your post’s to be exactly what I’m looking for. Do you offer guest writers to write content for yourself? I wouldn’t mind publishing a post or elaborating on most of the subjects you write with regards to here. Again, awesome web log!